Lo-fi music videos and creepy crawlies feature in this week’s belated track rundown. This frontman has SWAG! Short shorts and a pink hoodie are my outfit of choice when seducing the ladies. In fact, this whole music video is a sight to behold – especially the close zooms of the band members’ faces as they squint into the sun. 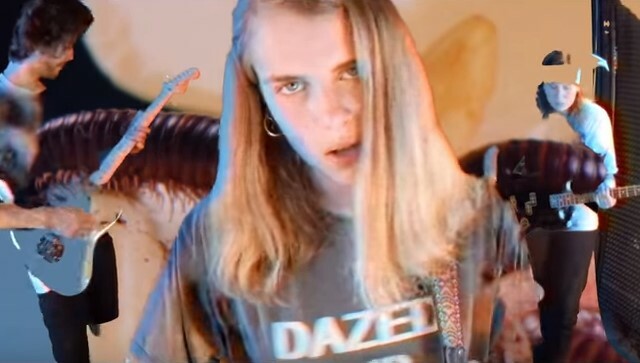 The Norwegian kids could have won me over with the satirical goofiness of their video alone, but to top it all off the song itself is bloody phenomenal. Their dreamy sound is like shoegaze without the sopping wet reverb. It sounds oddly nostalgic, even if I haven’t heard anything like it before. Marika Hackman’s new upbeat rock single is accompanied by a music video full of creepy crawlies. Is she getting us in the mood for Halloween? Are they a visual representation of the decaying love depicted in the lyrics? Whatever the reason may be, there are bugs in the music video, so get ready to squirm in your seat. Ever wondered what a combination of Talking Heads and Kate Bush would sound like? Probably not. Well, this French-Israeli duo have gone ahead and created that very concoction. They call it ‘cosmic pop’, which they describe in their own brilliant terminology as ‘psychedelicious’. The pounding drums, spooky church chimes and creepy visuals all make this an excellent tune for this time of year. The bright synths during the chorus caught me off guard, but thankfully the track doesn’t go too cheery, returning back to its menacing verse. I want to call it punk-pop – not to be confused with pop-punk which is a genre miles apart from this song. ‘I’m no Michael Jackson’. I can’t argue with that.